The overall test and measurement equipment market is expected to grow from USD 25.7 billion in 2018 to USD 32.3 billion by 2024, at a CAGR of 3.90%. The market is growing due to the increasing demand for this equipment in end-use sectors, such as automotive & transportation, aerospace & defense, IT & telecommunications, education & government, semiconductor & electronics, industrial, and healthcare. The test and measurement equipment market is expected to grow at the highest CAGR in the healthcare sector during the forecast period. There is a significant potential for growth of the test and measurement equipment market in this sector due to the development of new healthcare equipment, patient-monitoring systems, and personal emergency reporting systems. Among the end-use applications considered, automotive and transportation is estimated to be the largest contributor to the overall test and measurement equipment market in 2018. The increasing number of automotive manufacturing hubs in the world implementing advanced automation technologies for production is expected to boost the demand for test and measurement equipment offerings. Additionally, Ethernet (IEEE 802.3) is a widely used protocol in automotive manufacturing. In the automotive industry, many processes are controlled through computers, and Ethernet is one of the most suitable protocols for computer-enabled communication. The general purpose test equipment segment includes oscilloscopes, signal generators, digital multimeters, logic analyzers, spectrum analyzers, Bit Error Rate Tester (BERT), network analyzers, power meters, electronic counters, modular instrumentation, Automated Test Equipment (ATE), and power supplies. The characteristics of the aforementioned types of equipment include large size, bulky displays, slightly complicated control systems, and customer user interfaces. This scenario is expected to change to an extent, owing to the demand for small-sized tools and integration of various test and measurement equipment into one offering. Most of the test and measurement equipment now offers high bandwidth, greater accuracy, and higher resolution than that in the earlier equipment. Some of the prominent applications for equipment under this category are IT & telecommunications, healthcare, automotive, and industrial sectors. The test and measurement equipment market, by geography, has been broadly classified into North America, Europe, APAC, and RoW. In terms of value, North America is estimated to account for the largest share of the market in 2018 owing to the fact that a majority of the leading industry players have a presence in this region. The market in APAC is expected to grow at the highest CAGR between 2018 and 2024. The governments of Asian countries, such as Japan, China, and India are undertaking initiatives to encourage industries to establish manufacturing and R&D facilities in their countries. For instance, the Indian government started the Make in India program to increase foreign investments and businesses in India. Initiatives like these are expected to boost the test and measurement equipment market. Key players in the test and measurement equipment market include Fortive Corporation (US), Rohde & Schwarz GmbH & Co. KG (Germany), Anritsu Corporation (Japan), Keysight Technologies (US), Yokogawa Electric Corporation (Japan), National Instruments Corporation (US), EXFO, Inc. (Canada), Advantest Corporation (Japan), VIAVI Solutions Inc. (US), Teledyne Technologies Inc. (US), and Texas Instruments Incorporated (US). The market by product, covers general purpose test equipment and mechanical test equipment. The market by end-use sector, covers automotive and transportation, aerospace & defense, IT & telecommunication, education & government, semiconductor & electronics, industrial, and healthcare. 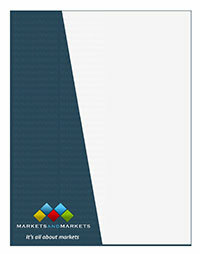 The market by service type, covers calibration, repair/after sales, and other services. The geographic analysis is based on 4 major regions?North America, Europe, APAC, and RoW. (RoW includes South America and Middle East & Africa). The report will help leaders/new entrants in this market by providing information on the closest approximations of the revenue numbers for the overall test and measurement equipment market and its subsegments. The report also will help stakeholders understand the pulse of the market and provide them with information on key market drivers, restraints, challenges, and opportunities.